The ‘U10’ region is a partnership between the City of Utrecht and nine surrounding municipalities. The bustling villages and cities in this region – Utrecht, Woerden, Stichtse Vecht, De Bilt, Zeist, Houten, Nieuwegein, Vianen and IJsselstein – are strongly interconnected. Being an infrastructural hub, millions of people pass the region on their way to their destination by car or public transport. 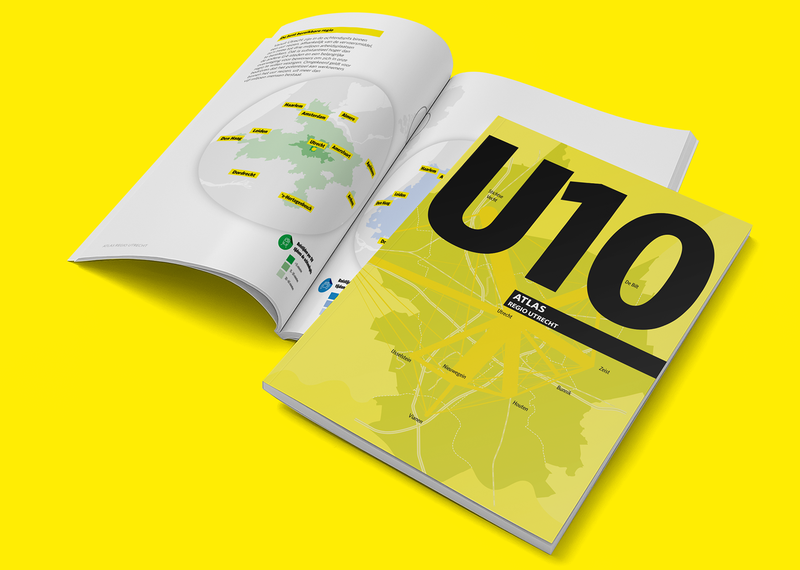 The ‘U10 – Atlas Regio Utrecht’, combines strategic and tactical information to provide insights on how to develop the social and economic cooperation. The partnership is based on four perspectives: Working & Learning, Living, Recreation & Adventure and Mobility. 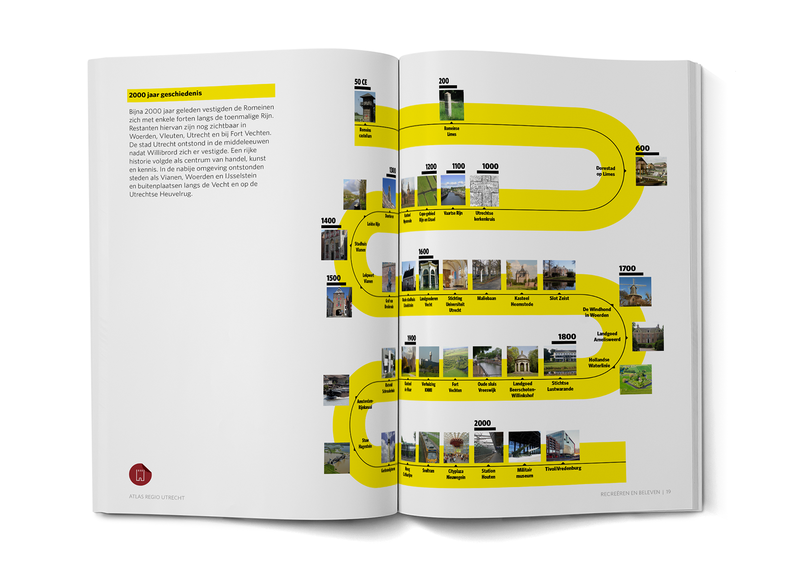 The identity has infographics for each perspective, showing relevant features, trends and their meaning for the people in the U10 Region. The U10 – Atlas Regio Utrecht received a German Design Award in 2018, in the categories Excellent Communications Design and Universal Design. 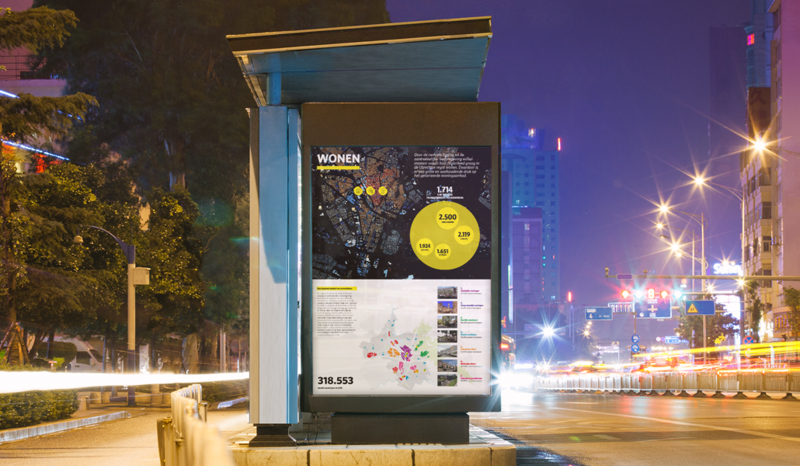 It also won a silver European Design Award in the category Infographics/print.